Romhacking.net - Review - Was a challenge but was it worth it? 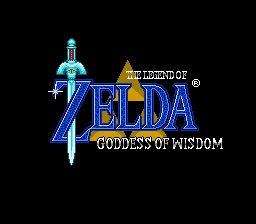 The Legend of Zelda: Goddess of Wisdom follows the original design of ‘Zelda3 Goddess of Wisdom’ but is edited to create a more comprehensive experience for novice and/or expert players that feels akin to something Nintendo would release. 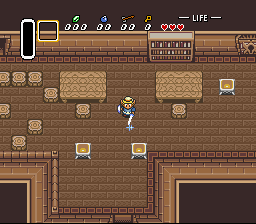 This hack built upon the framework created in ‘Zelda3 Goddess of Wisdom’ with all due respect to the original author(s), and is made to correct some of the issues observed in the final ‘Zelda3 Goddess of Wisdom’ release. FINAL RELEASE - 1.21 unless any other bugs are found. Note: A glitch is referenced in a review of this hack- but cannot be recreated by the creator. Please contact jammer506 if there are any issues with this section of the game. Revision back to previous titlescreen and color palette from Puzzledude’s upload. Various bugs and glitches (graphical/text) may remain from the original hack, or have been created through this new hack. Please report them to jammer506 using the email included in the readme, and they will attempt to repair them. Was a challenge but was it worth it? I spent a while playing this version of Goddess of Wisdom and I am left feeling a little dissatisfied. I finished this game feeling more frustrated than anything but I also felt accomplished because it was a true challenge, if only a convoluted one. It can be very much construed as poor design being a bulk the difficulty. The storyline was not cohesive, interesting, and nearly zero effort was put into it. Also, nothing in the way of side quests or stories. 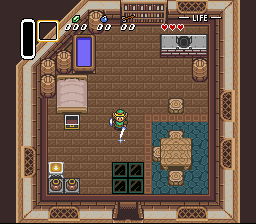 The heart pieces in the game are basically given out like candy, little effort was put into the overworld so you will essentially get every heart piece without much challenge or searching. The dungeons are FILLED with backtracking, I can’t even count how many times I had to run around in circles because I didn’t flip a switch or confused by the graphical tricks that make the player second guess everything. Many puzzles are set up to punish the player. You don’t get the sword upgrade or boots until 70% through the game, so enjoy dealing with 3-5 hit monsters all game, and slow travel + backtracking. The dark world aspect is more of a graphical novelty than apart of the game, there is no use for the mirror (when you get it 99% through, it would have been really nice for dungeon resets much earlier) and nothing to explore. There are various graphical bugs throughout the game, tacky.. but doesn’t effect the game. How to get the flute needs to be WAY more intuitive, this applies to a couple of other graphical tricks (they come across as bad riddles). I found myself saying “why would I ever think to do that?” after looking at a walkthrough several times. Getting the red tunic right off the bat at first annoyed me, but thank god, although it doesn’t make much difference as a majority of the damage you will be taking is from traps, which is the same regardless of tunics. This game is 100% completable with few bugs and does provide a solid challenge, but don’t expect a polished gem. Overall, it was a worthy challenge. I would give it a 6/10. Worth a play but don’t expect any warm fuzzys… maybe a sore thumb.